With a new Bastion comes a new Access Manager. After the release of the Bastion 6.0 in February, the WALLIX team is very pleased to announce the new Access Manager 2.0. 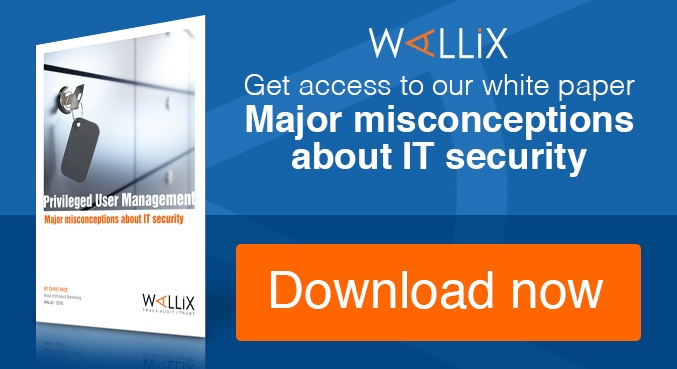 More than ever, WALLIX’s focus is on protecting privileged accounts. It's obvious by now that most critical assets can’t be siloed by region anymore, nor isolated from the external world. Your systems might require maintenance or management by external providers, administrators might need external access for off-duty response, or an employee may simply need to work remotely. Furthermore, recent trends, such as Cloud hosting and DevOps makes it necessary to be able to secure external connection. The new version of the WALLIX Access Manager enhances administrators’ flexibility to open their infrastructure to external connections to critical assets. As a company can deploy multiple WALLIX Bastions to respond to their complex security needs, we wanted to provide a unique, multi-tenant centralized auditing console so that administrators don't need to divide their attention across different systems. The WALLIX Access Manager now offers the new Global Search capability. Thanks to the new Auditor Profile, it is now possible to search for keywords or for session metadata across all sessions in any of your organization's Bastions. Accordingly, it is now possible to efficiently track suspicious activities across your entire organization from a single console. Security: the WALLIX Access Manager now supports SAML for authentication and integration with Identity Management solutions. System protection is reinforced with protection against Slow Post attack, and CA can be associated with organization. Usability: The center of WALLIX’s concerns. It is very important to us to provide Administrators with a seamless experience. The answer is to provide basic RDP and SSH sessions through web portals so they can focus on the tasks at hand instead of learning how to use new tools. Efficiency: Being able to identify sessions containing a keyword or a metadata is one thing. Being able to easily access the relevant part of the recording is another. With a full HTML 5 interface, this new version of the WALLIX Access Manager allows you to directly access the recording sequence containing the result of the Global Search. Simply clicking on the search result takes you straight to the appropriate sequence. What's more, you now have the ability to transfer files by Drag and Drop in RDP sessions. Flexibility: Last but not least, back-up and restore capabilities have been enhanced with the possibility to back-up and restore a full database or just an organization in the Access Manager. 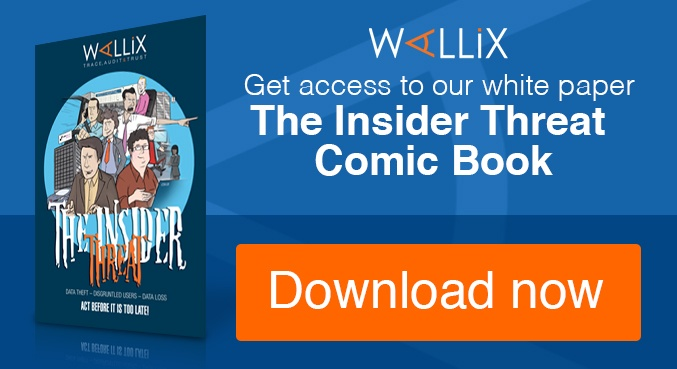 The WALLIX Access Manager is the gatekeeper to your IT infrastructure, filtering external access to your critical resources, on top of being the ideal command center to centralize session auditing from all your Bastions. To find out more about the new WALLIX Access Manager 2.0, please visit www.wallix.com or view the product sheet! Ready to invest in the Access Manager as gatekeeper to your Bastion? Contact WALLIX today.